Air traffic controllers at Dulles International Airport outside Washington, D.C., are using new technology that lets them exchange digital messages with pilots. 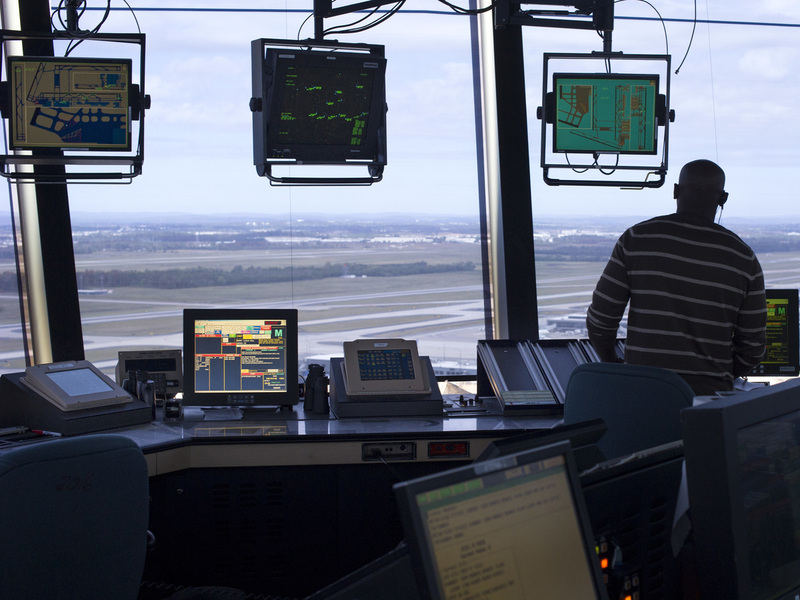 The control tower at a major metropolitan airport can be a pretty chatty place. Some of the chatter comes from air traffic controllers literally and phonetically spelling out the routes pilots need to follow to their destinations, using the foxtrot-lima-sierra-tango alphabet. When a weather issue — say, a line of thunderstorms — pops up, routes have to be changed, often while the plane is already on the taxiway. So the controllers spell out new directions to the pilots, the pilots take them down and then carefully read back the instructions to the tower. If the pilot mishears the instructions — well, the process begins again. All of this can take several minutes, delaying departures, burning fuel and emitting carbon. But now technology is coming to the rescue. 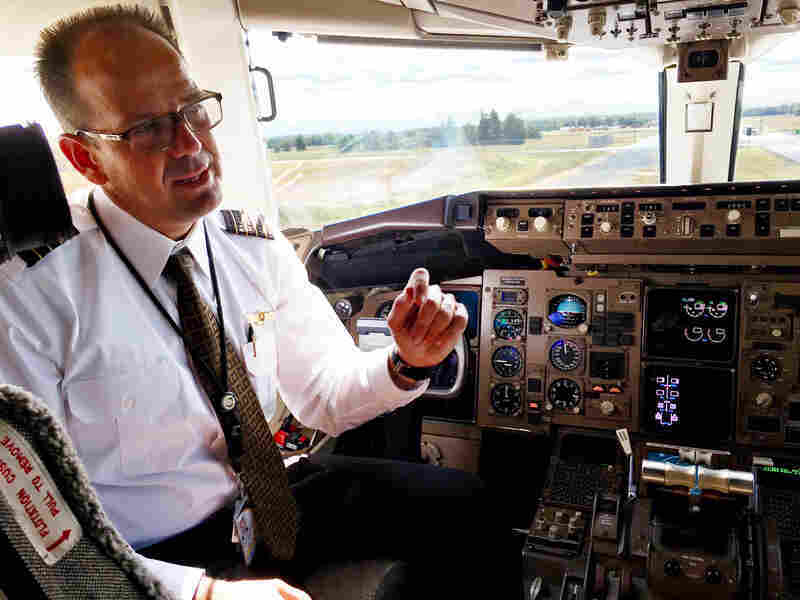 The Federal Aviation Administration's new system, called Data Comm, lets traffic controllers and pilots exchange information electronically — still in the air-traffic lingo, but displaying like text messages. Data Comm technology gives air traffic controllers and pilots the ability to transmit flight plans, clearances, instructions, advisories, flight crew requests and reports through a digital message service. One carrier already using the new system is delivery company UPS. 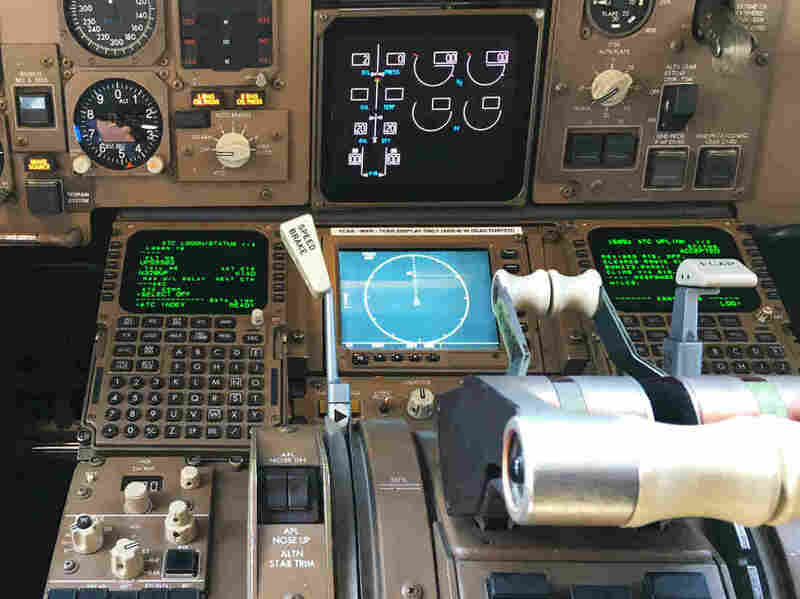 In the cockpit of a Boeing 767, UPS pilot Capt. Gregg Kastman points to a screen near the center of the console. This is where he now receives "a lot of the messaging we used to have to receive via voice" over the radio, he says. That includes route clearance, route changes and frequency changes. The Data Comm system "allows us to view the message, and reprogram our computers in seconds, which used to take minutes to process," he says. And that difference of a few minutes, he adds, "is tremendously important." UPS pilot Capt. Gregg Kastman says "a lot of the messaging we used to have to receive via voice" over the radio includes route clearance, route changes and frequency changes. Imagine inclement weather moving in on a busy airport. Some 30 or 40 airplanes may be there waiting for takeoff, needing new routing instructions, Kastman says: "A couple minutes multiplied by 40 aircraft can easily lead to well over an hour in delays." For a cargo company managing an intricate schedule of arriving and departing flights, coordinated also with ground transportation, such delays can be a major headache. For customers, a delay may mean the shoes you ordered don't arrive in time or an important replacement part doesn't get delivered. For passengers, it could mean a missed connection. FAA Assistant Administrator Jim Eck says passengers should notice a difference from the new technology. Data Comm is intended "to make the whole system feel more stable and more predictable," he says, "so there isn't a lot of time spent sitting in an airplane wondering what's going on, and when am I going to get off." The Data Comm system — part of the FAA's Next Gen program to modernize the nation's air traffic control system — is already up and working at most of the major airports, for now with the exception of Chicago's O'Hare. The $740 million upgrade is expected to be in service at more than 50 towers by year's end. The FAA says all the major airlines have signed on; eight U.S. passenger and cargo airlines have added or are currently adding the system.